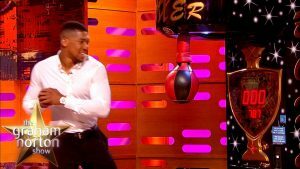 Winning BBC Sports Personality of the Year on December 17th will possibly seal another good year for British heavyweight boxer and world champion, Anthony Joshua. 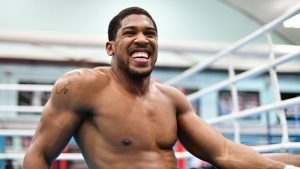 Although other big names in sports such as Lewis Hamilton and Mo Farah may be in the running, the hype train has been carrying Joshua and is still at full speed! Appearances on national television programmes such as the Graham Norton Show, legendary vehicular show Top Gear and documentaries charting his fighting career regularly aired on terrestrial television ensure that the 6’6 ft IBF, IBO and WBA title-holder is receiving maximum exposure! The public always love it when somebody in Anthony’s position gives back, and the fighter has stated that he “likes to give.” When he turned to the paid ranks, he decided to furnish his old gym, Finchley ABC, with new gear and has been involved with helpful organisations focusing on assisting the homeless. But making a positive impact does not stop there! Joshua is also backing anti-crime campaigns including anti-knife crime. The Watford born boxer’s following and popularity has been proven time and time again when he managed to break Carl Froch’s Wembley Stadium attendance record by bringing in 90,000 fans to watch him defeat Wladimir Klitschko in 11 thrilling rounds in April. He also sold out the Principality Stadium in Cardiff last month before stopping Carlos Takam. Amusingly, he has began relating to his audience by affectionately booing his promoter Eddie Hearn whenever he gets air time to have his say on the political side of the combatant’s occupation, something that has added to his likeability factor. 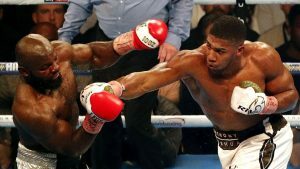 But Anthony Joshua, the person aside, is probably one of the most exciting heavyweights we have seen in a while! Every single one of his 20 victories have come by a knockout of some kind and he has just enough inadequacies to make you think that the hype train can be derailed, given the right opponent. 2017 may have been a big year, but 2018 is set to be even bigger! Things have really been heating up with American WBC champion, Deontay Wilder who has just come off a devastating first round knockout win over former prizewinner Bermane Stiverne. A match with Joshua has been mentioned to possibly take place at the tail end of next year which would give it time for interest to build in the bout and more time for American audiences to give the Englishman even more of their attention. Tyson Fury is also back in training for his return to the ring which will make things even more interesting. If Fury can get back to anywhere near what he was in 2015 when he became the man to end Wladimir Klitschko’s ten year title reign then a Joshua v Fury battle would potentially be the biggest fight that Britain has ever seen! But it appears that more celebrations are ahead first. 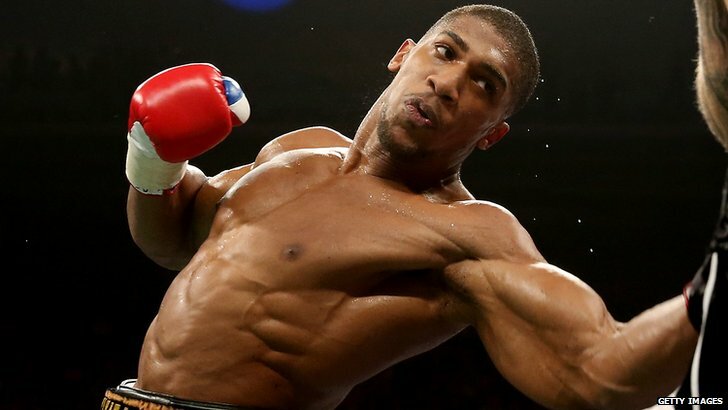 Is it likely that Anthony Joshua will win the BBC Sports Personality Award? Taking everything into account said in this editorial, it has to be said that it is quite likely. And by that time, Anthony Joshua’s fortune still will not have reached anywhere near the level of a clear blue sky.